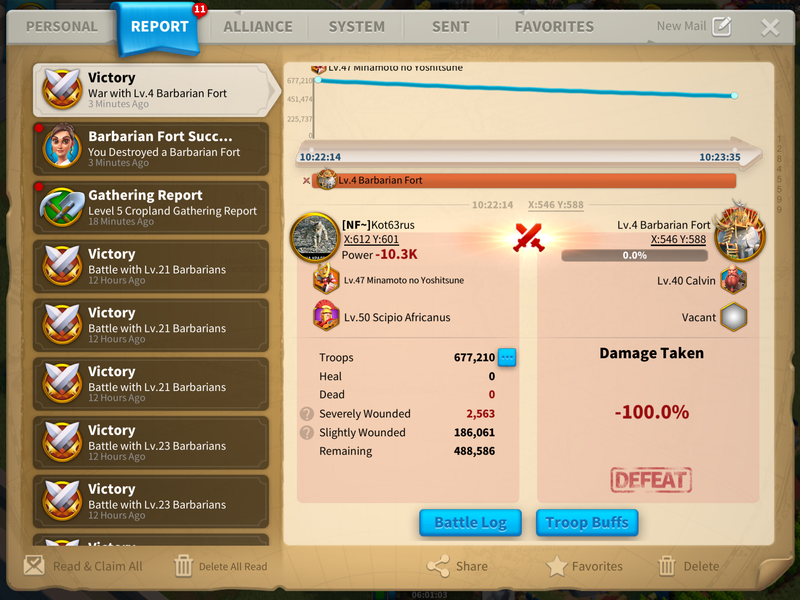 Battling against Barbarian Forts is a little different to how you attack Barbarians on the map. You can only attack Barbarian Forts by way of a Rally, either you make the rally or you join a member of your alliance's rally. First of all to join a rally, you need to check your castle to see if there is currently a rally going on. If there is, then a horn will be displayed above your castle. Alternatively, tap your castle and enter it, to see the list of all current rallies. If you are eligible to join a rally there will be a tap to join button. 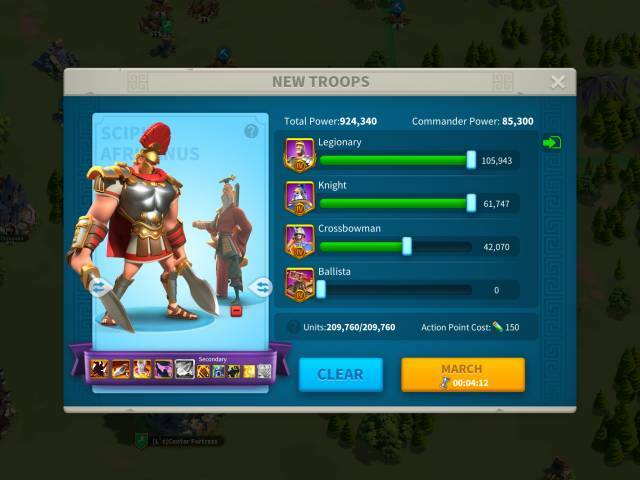 Which you simply tap then select your commanders and army to join the rally. Take a note of the time it takes for you to get to the rally. If there are only a couple of minutes of the rally left and it is pretty much full, your alliance probably won't appreciate it if you are sending just a handful of troops on a 30 minute march! 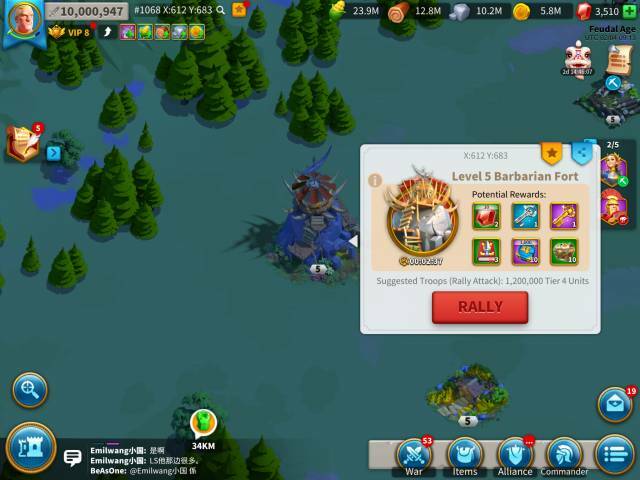 If you would like to start your own rally, then simply look for a barbarian fort on the map and tap it.Barbarian Forts have levels 1-5. Each level offering different potential rewards, but each level also being increasingly more difficult to defeat. When you tap on a fort you will see the suggested troops needed to defeat the fort. In the case of a level 5 barbarian fort, it is 1,200,000 Tier 4 troops! 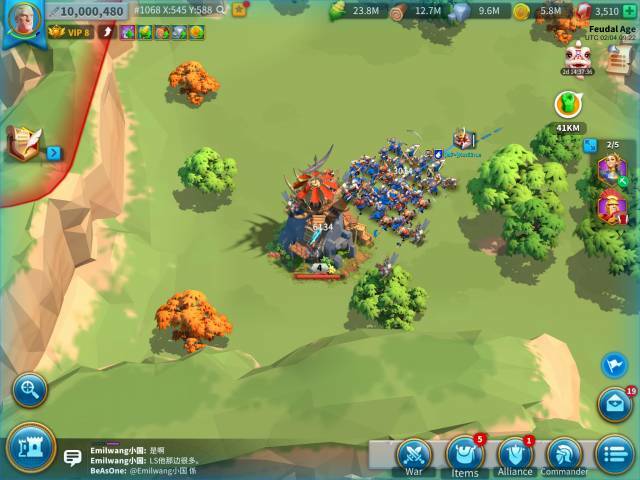 So in order to make a successful rally on a level 5 fort you'll first need a Castle that can launch a rally capable of holding 1.2 million troops! In reality however with the use of strong commanders and other buffs you can usually get away with less than the suggested number of troops to defeat a barbarian fort. If you are defeated in a rally attack against a barbarian fort, you'll likely find yourself with a large hospital bill! The game will suggest the most appropriate commanders for you to use, but these guys are often the ones people use as long as they have them leveled up enough. But really it all depends on which is the strongest commander that you have available. For more information on starting rallies, and some other Fort Rally tips, check out our Fort Rallies page.